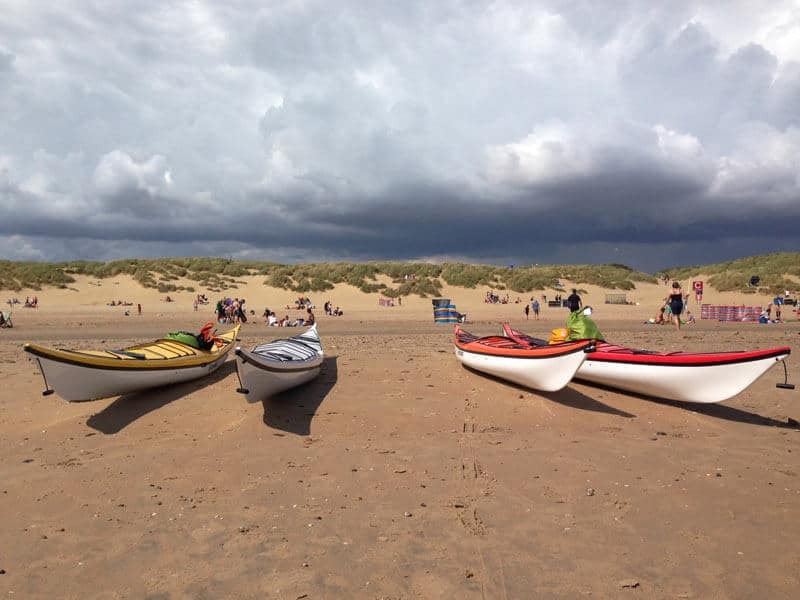 Just eight days after completing the Yorkshire Three Peaks Challenge, last week, Luke, Tom, Anthony and I kayaked a gruelling 150 miles around the Kent coastline from Camber Sands to Erith. As we are Sleeping Giant Media, we wanted to do a giant charity challenge. 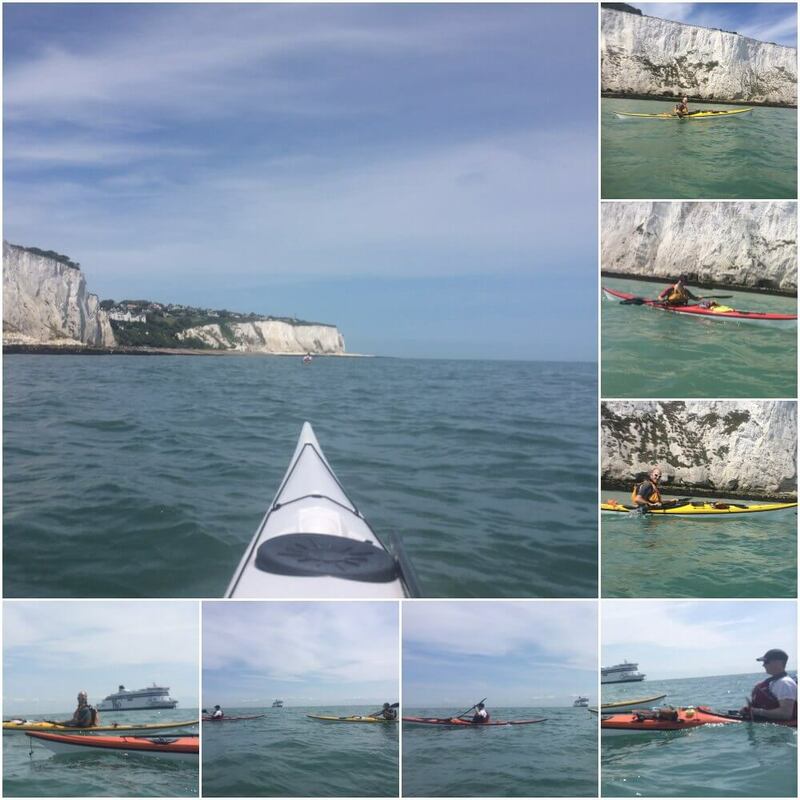 Kent is the longest county coastline in the UK so we came up with the idea of kayaking around it. We don’t think this has ever been done before. 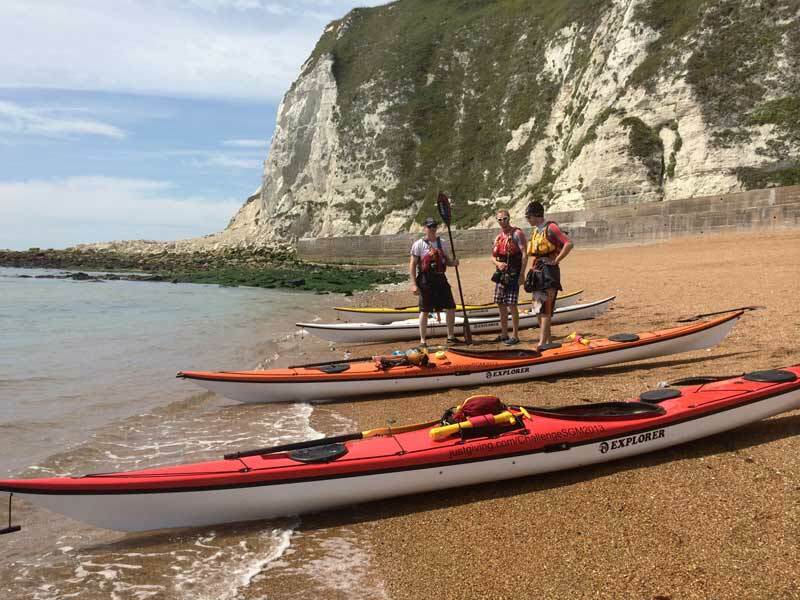 It’s not just the length of the proposed route that made this a challenge, none of us had stepped foot in a kayak before! Cue hard training for the past four months with the help of Rob Davis and the guys at Seapoint Canoe and Kayak Centre in Seabrook. 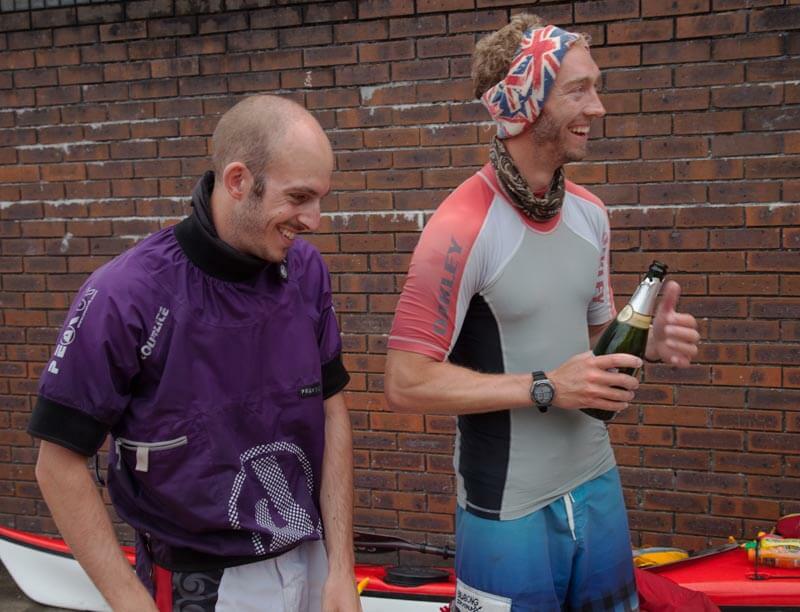 We are all really pleased we made it to the finish. 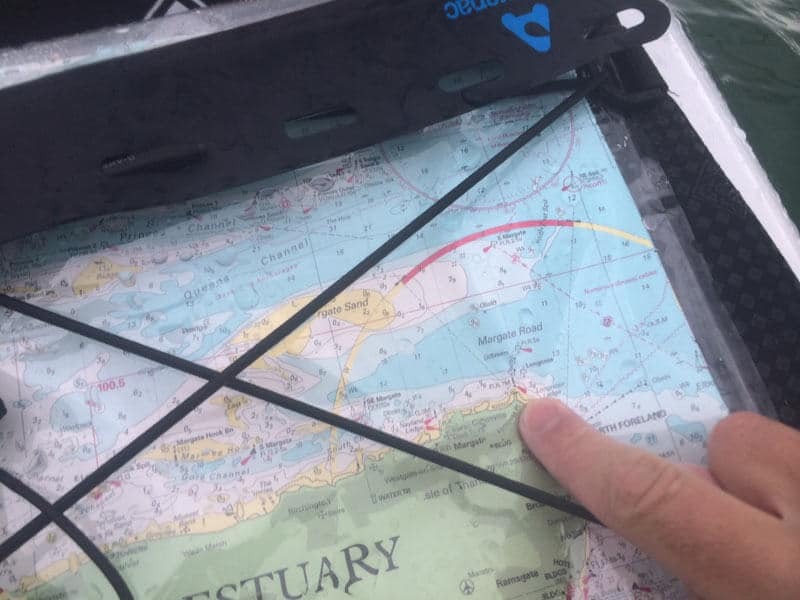 Every morning, we had to call the coastguard to let them know where we would be and contact them again to inform them when we were off the water. Dover coastguard covers Camber to Whitstable, then it is Thames coast guard to Tilbury, and London Coastguard from then on. After a full day’s kayaking, every night we had to set up camp, cook and plan our next day’s trip before we could relax. Then every morning, after a rubbish night’s sleep, we had to take down the camp and load our boats. For the duration of the challenge, we had no way of washing, which was pretty tough going. 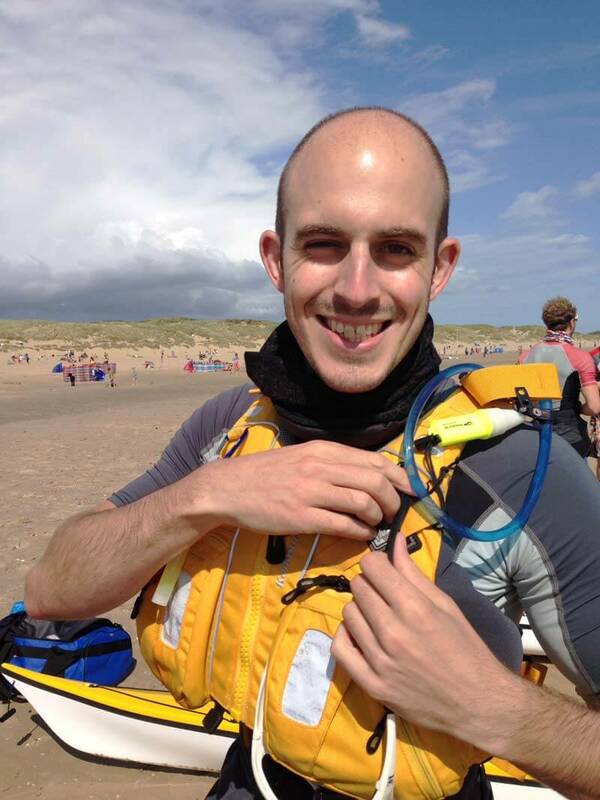 We also had to carry our gear in the kayaks, including our camping equipment, food and water. 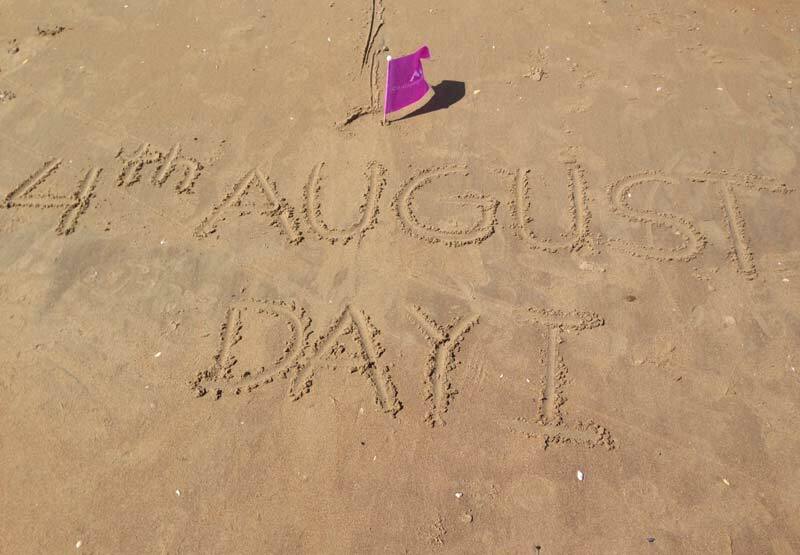 With family and friends on the beach waving us off, we left Camber Sands at 3.40pm. We needed to be on the water and on the edge of Lydd ranges by 4.30pm when they take a break from firing for 2 hours. We radioed them on VHF and waited for them to let us by. It was very rough here. We had to contend with waves over 6ft, the highest we have ever encountered. We made it past the ranges and they wished us luck. At the headland by Dungeness we took a break for 20 minutes to eat some food and stretch before setting off in a straight line to Folkestone. 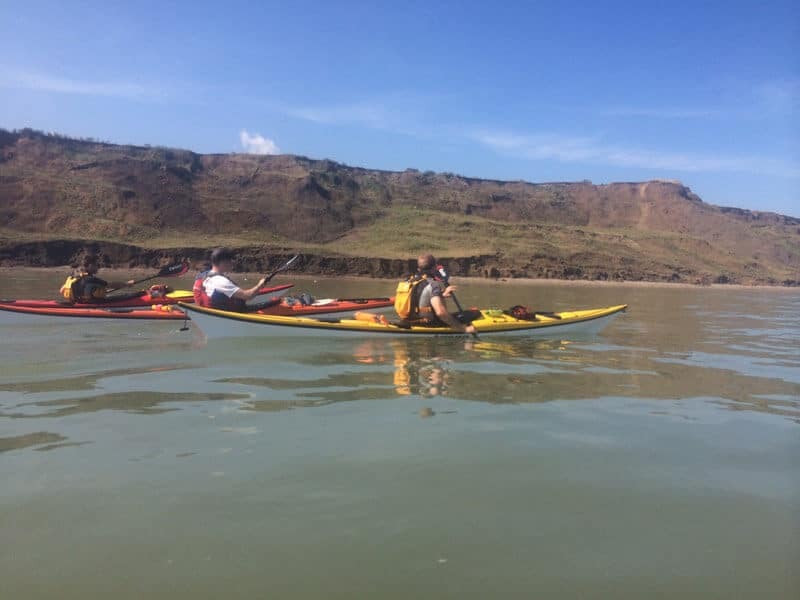 This 22km open stretch of water was quite rough and our kayaks were filling up with water. The rough water was exhausting. About half way across, it started getting dark and eventually became pitch black. We fought the tides, darkness, tiredness and rocks to get to a beach at The Warren about 10.40pm, where we pitched our tents in the dark and cooked some food. This was our toughest day and we all went to bed wondering if we could actually complete the challenge. Before we started, we’d planned the route and rest stops. The plan was to kayak for 6 hours, rest for 6 hours, and so on. 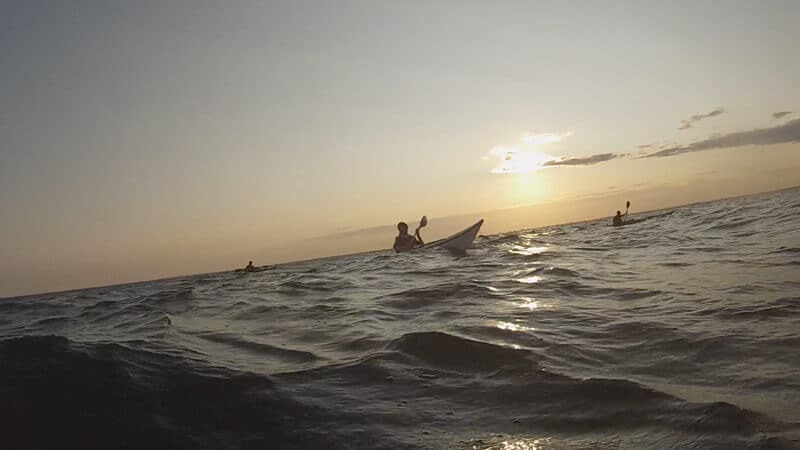 However, paddling through the dark on the first night made us realise that this wasn’t a good idea at all. It was far too dangerous; there were times when we could barely see each other. This morning we were up at 6am. We set off from The Warren and headed around the coast towards Dover. Just outside Dover harbour we radioed but our VHF had run out of battery. We had to land and find the spare radio to get in touch with the Port of Dover. They guided us through the rough swells in the entrance and past the enormous ferries and trawler ships. 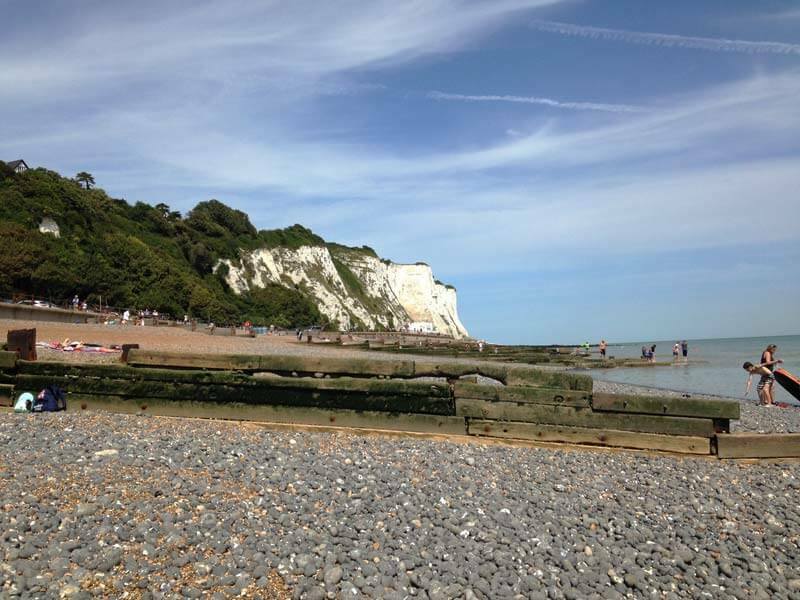 We went on past the great white cliffs of Dover, seeing grooves in the cliffs where smugglers had hauled their goods up the cliff face, and on to St. Margaret’s Bay where we stopped for lunch. The Coastguard pub kindly gave us four portions of chips for free to help us on our challenge. 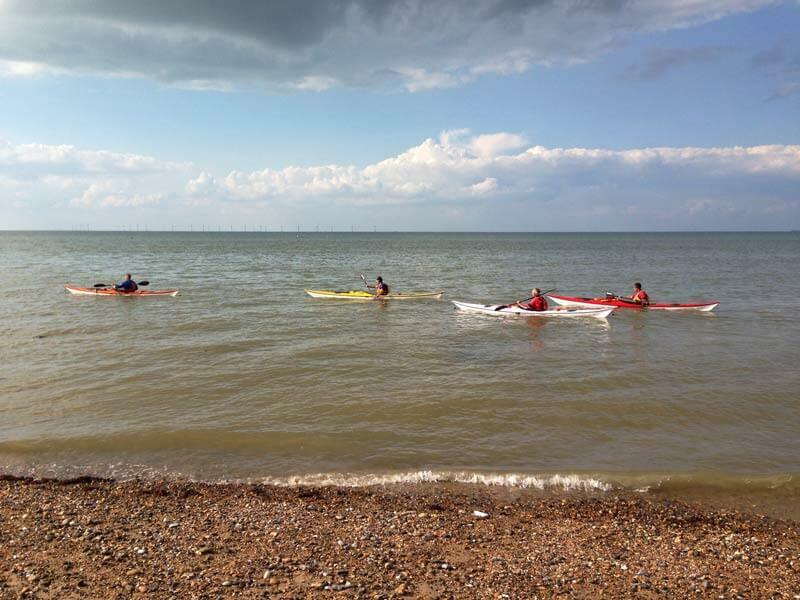 After lunch we set off again and headed past Deal, where we stopped briefly, before paddling across open water to Ramsgate where we pitched our tents on the beach next to the harbour. Thankfully, we arrived early enough to have a relaxing evening and good food here. We were up early again at 5.30am this morning so we could head off at 8am. We struggled past the very rough waters of Ramsgate harbour, with wind and rain hammering down on us. After this ordeal we made our way past the Isle of Thanet, stopping at Margate to get away from the worst of the weather. 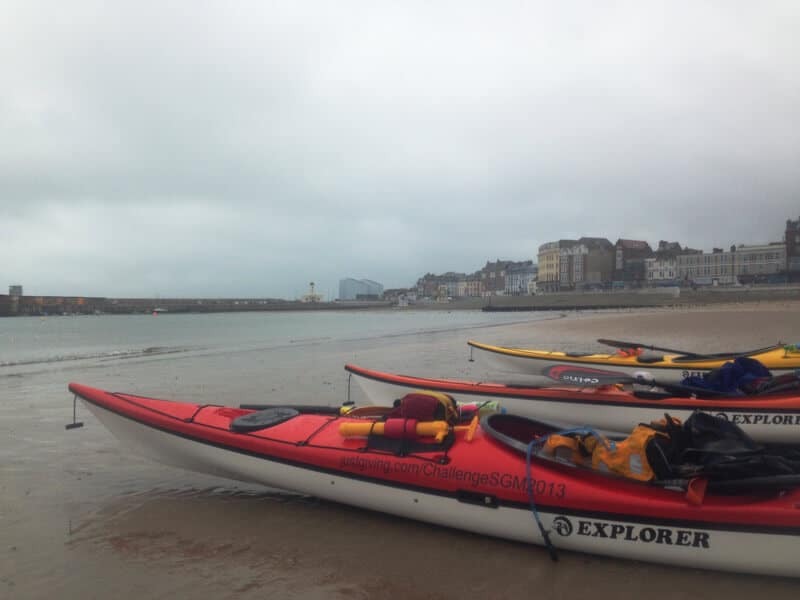 The lifeguards kindly looked after our boats while we enjoyed a hot chocolate and break from the weather at Bernie’s Chocolate Bar. After a short lunch break, we were back to the boats and on towards Whitstable. After what seemed like forever, we finally made it to Reculver, where we stopped again for a stretch. From here, we went to Whitstable where the weather turned nasty again. We arrived at about 8.30pm and had to struggle against high winds to get to a good place to camp on the beach. A kind lady gave us the code to the beach hut toilets so we could use them. Today we covered the most distance: over 50km. 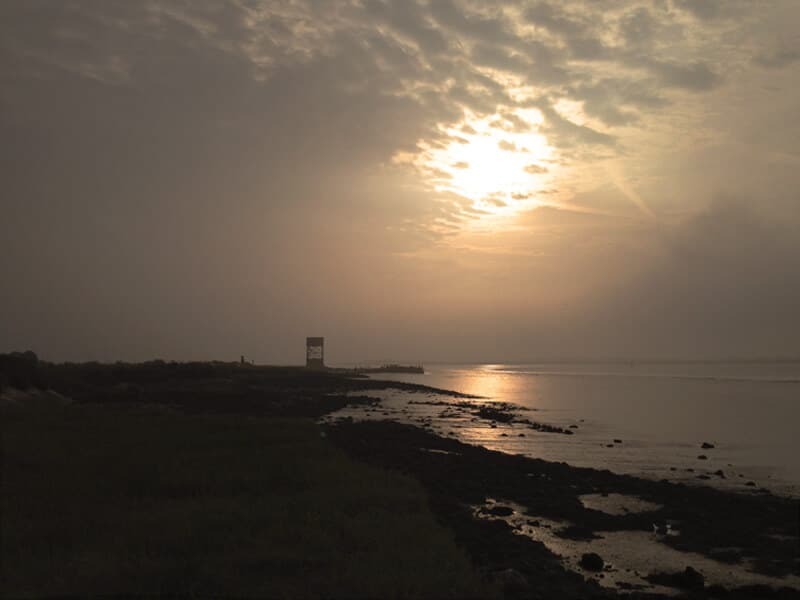 The aim was to get as far as Sheerness before dark so we set off very early and in a straight line toward the Isle of Sheppey. Due to a slight miscalculation, we actually landed further around the island than we thought and were making excellent time. 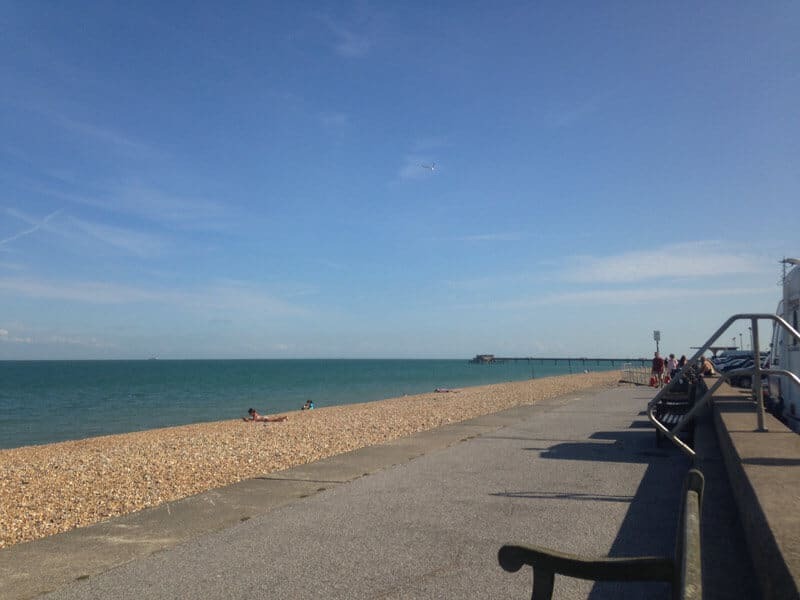 We stopped briefly at a couple of beaches on Sheppey. One because I had crashed due to not taking on enough food and I couldn’t carry on until I took on more calories, and once for a stretch break. We pushed on to Sheerness and made it by 1.30pm in amazing time, despite the fact we were pushing against the current. We had a lunch break here and bought some nice sandwiches from Tesco, which was a lovely treat. 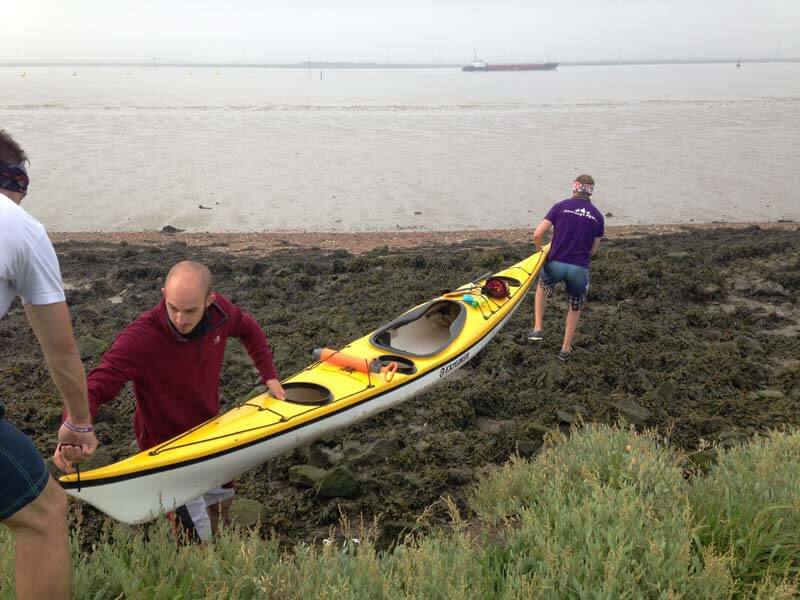 We waited for the tide to change here and set off at 2.30pm to head up the Thames estuary. 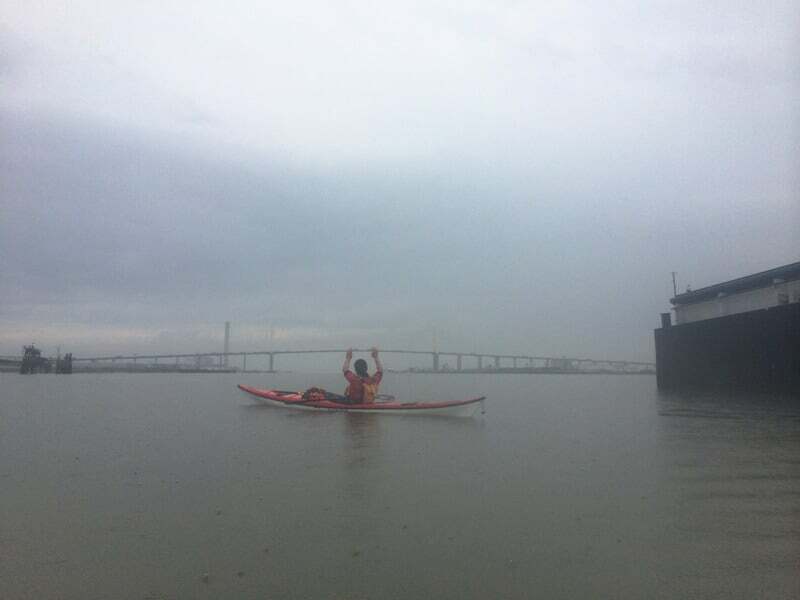 We crossed the Medway estuary behind a huge super tanker and pushed on up the Thames. Unfortunately the low tide here meant we had to navigate round the sand banks, which added a further 6-8km to our journey. We were kayaking in only just enough water to keep us afloat and were struggling to use our paddles as the water wasn’t deep enough. Hitting the bottom was also slowing us down. 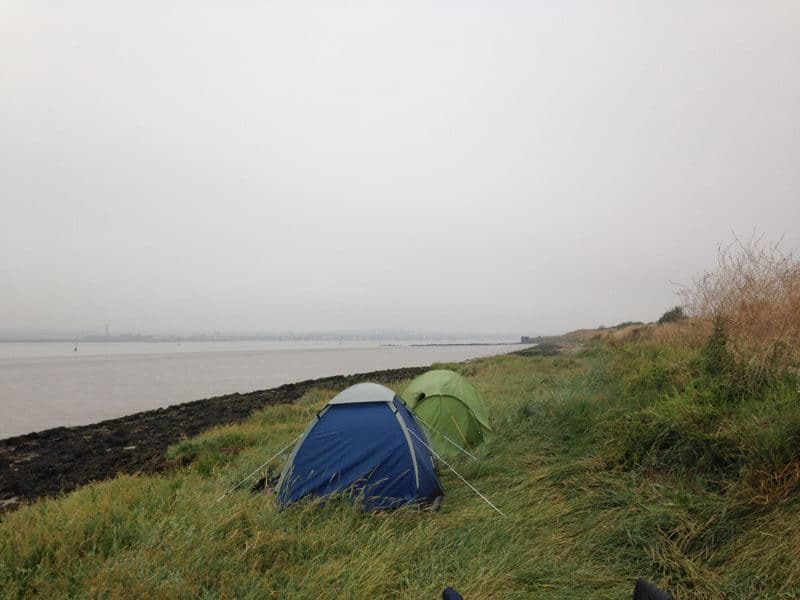 We eventually got past the sand banks and into the Thames estuary proper where we started to look for places to camp. It is quite industrial there so we struggled to find a good spot. We found somewhere we thought was good and landed. We could see green grass to camp on but had to pull our boats over about 200 meters of mud and sand. Unfortunately the grass turned out to be reeds in deeper mud so we had to return to the water and find another spot further up the river. We did this just before the sun set at 8.30pm. We camped and enjoyed our last rations along with beers we had stowed with us from Tesco. Unfortunately, we were attacked by hundreds of mosquitoes and eaten alive. After a good night’s sleep, we got up at 5.30am again and waited for the tide to come in so we could launch our boats without dragging them across loads of mud. 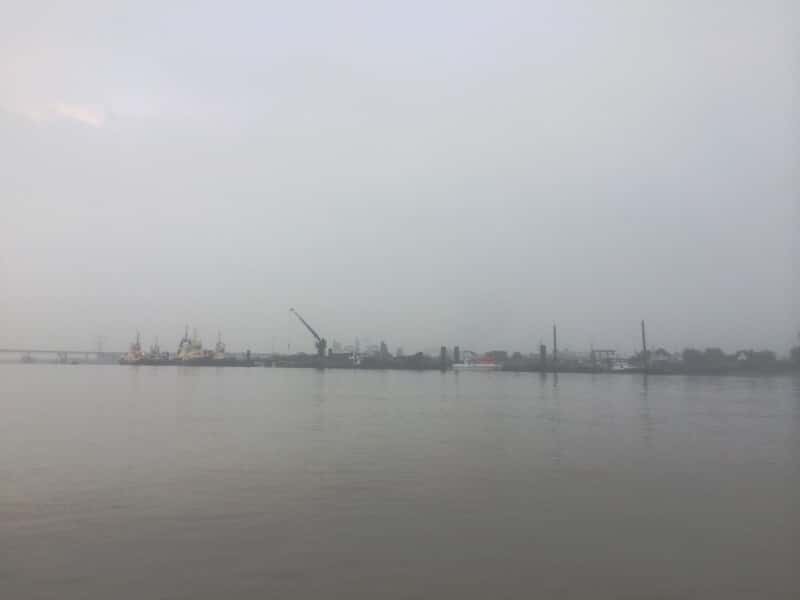 Luckily, the tide was with us and we made great time, being stopped by the London Port Authority just once for a short pep talk and some safety instructions for the very busy shipping lane. 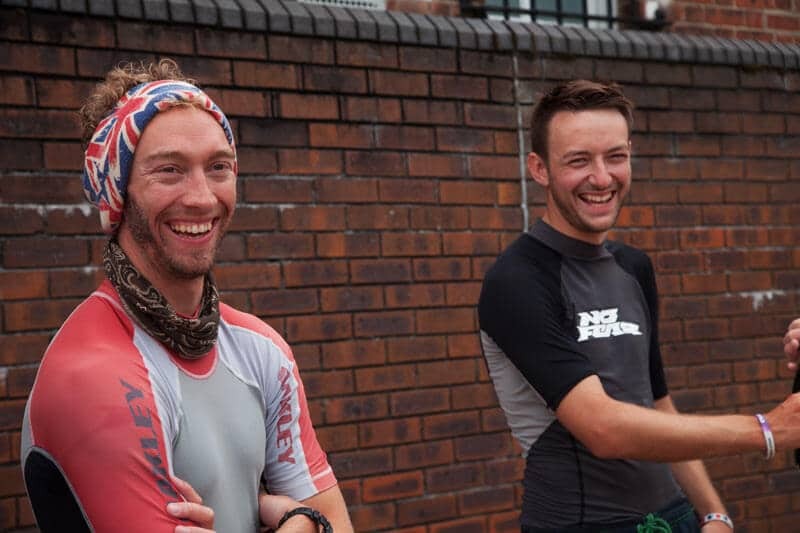 We moved through the winding Thames until we finally came to the Dartford crossing where we stopped for a selfie and a short congratulatory moment. There was just 4km to go until the finish. 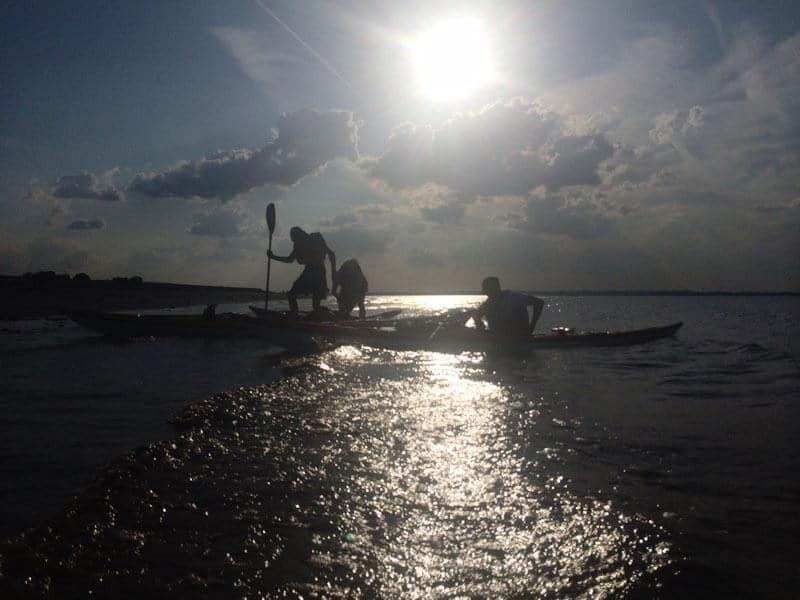 I was so relieved when we were on the final stretch, paddling towards Erith, and could see our family and friends on the riverside waiting for us! Being on the water for five days straight was a real challenge not just physically but mentally. I am really proud that we all made it through. We worked as a team to help each other through it, and all in all, it was a fantastic experience. One of the real highlights for me was getting up close to some amazing wildlife. 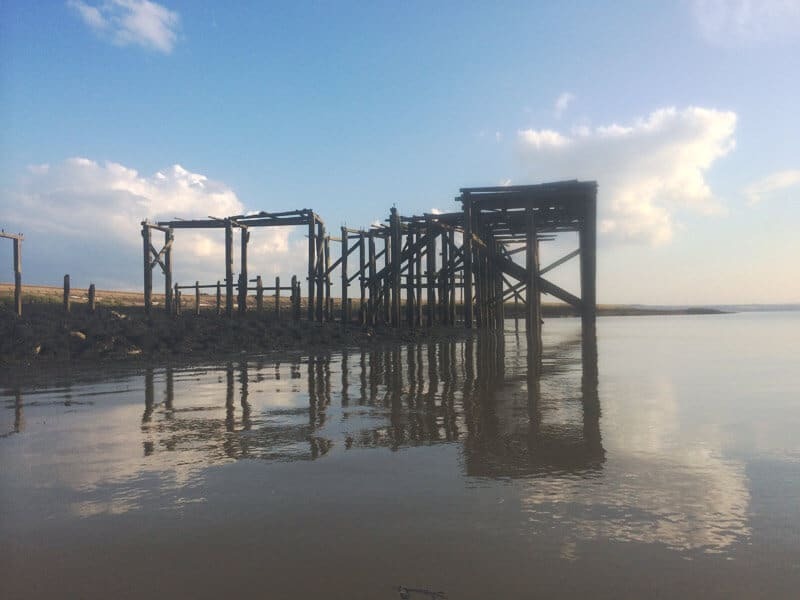 We saw dolphins off Camber Sands, and seals at Dungeness and in the Thames estuary. 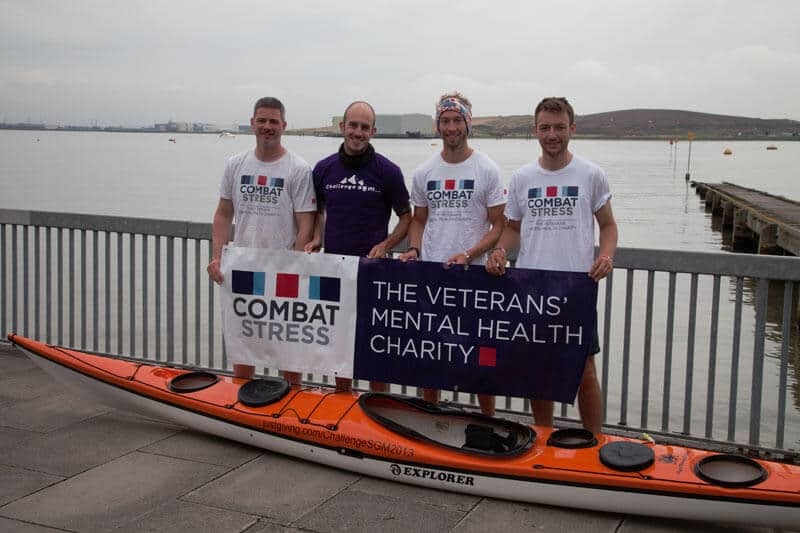 We have been staggered by the amount of support we have already received, and hope that our efforts will encourage more people to help us in our bid to reach our target of £10,000 for Combat Stress. So far we have raised just over £5,600. If you would like to donate, please visit our Just Giving page. 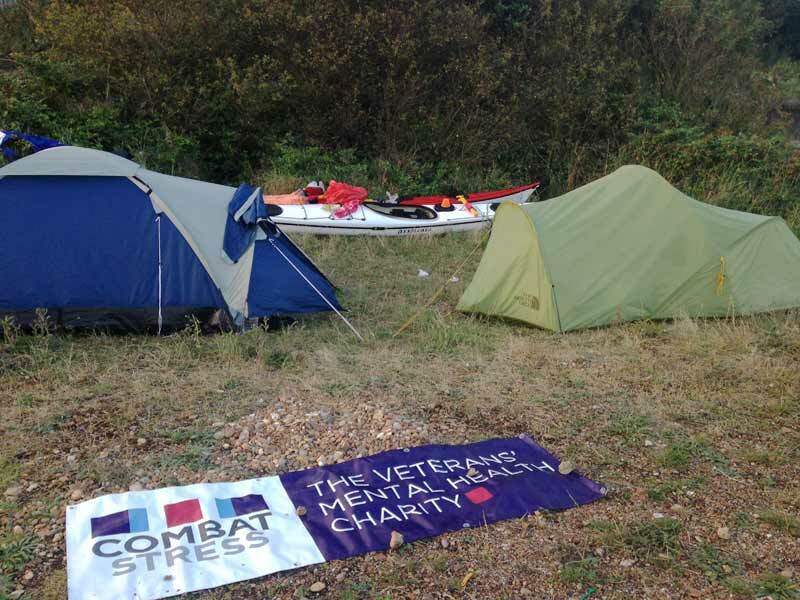 The Kent coast kayaking challenge was the last event we had planned for this year. With over four months to go, we would love for you to suggest some other events we can get involved with. As you can probably tell, we’re up for almost anything so please suggest away!